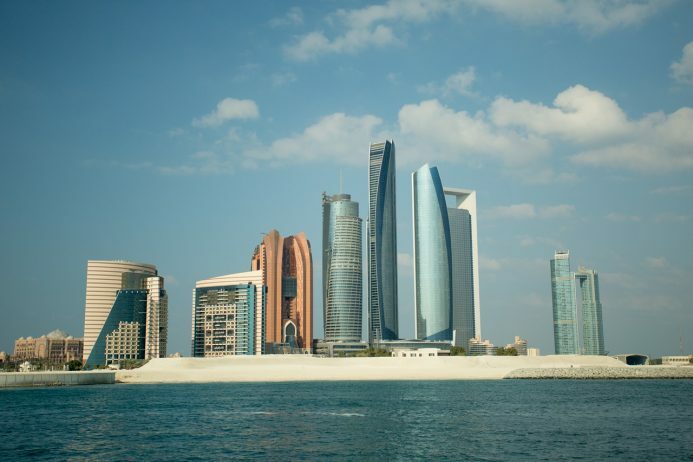 Abu Dhabi is the capital of the United Arab Emirates and sits just off the mainland on an island in the Persian Gulf. It’s well known for its Yas Island Marina Circuit, the venue for the Abu Dhabi Grand Prix, but there are plenty of other things to do while visiting. Sheikh Zayed Mosque – This is the largest mosque in the United Arab Emirates and is considered the key site for worship in the country. It’s made of white marble and can hold over 40,000 worshipers. The main prayer hall also has the world’s largest carpet at 5,627 m2 and it consists of 2,268,000,000 knots. It’s free to enter and there are free tours, in Arabic or English, at certain times of the day. When visiting it’s important to remember that men and women must wear long, loose fitting, ankle length trousers or skirts and women must wear a headscarf. Abu Dhabi Falcon Hospital – Abu Dhabi Falcon Hospital is the world’s foremost falcon welfare institution and was opened to the public in 2007. The tour offers you an insight into the history of falconry and the life of modern falcons. It also offers a hands on experience and a talk from the veterinary staff about the work they do. If you want to visit, it’s important to note that all tours have to be booked in advance. Observation Deck at 300 – This restaurant is located on the 74th floor of Tower 2 (Jumeirah Hotel) and is the highest restaurant in Abu Dhabi. It offers a 360 degree view of Abu Dhabi’s impressive skyline and you don’t have to use the restaurant to visit. The entrance fee is AED75 and attached to that entrance ticket is a AED50 credit voucher which can be redeemed on the day of your visit. If you would like to go for High Tea, it is suggested you book one day in advance to avoid disappointment. Other attractions include: Ferrari World which has the world’s fastest roller coaster and Yas Waterworld which includes 45 slides, rides and attractions. Emirates Palace – This five star hotel was created to showcase Arabian culture and has many facilities and services, including: 1.3km of private beach, a large conference centre, 40 meeting rooms, two pools, many sports facilities, high speed internet and each of the 394 rooms/suites also comes with 24-hour butler service. It’s only a 25 minute drive from the Abu Dhabi International Airport and is close to many high end shopping malls, restaurants and cultural landmarks. Angar – This is one of the restaurants located at Yas Viceroy Abu Dhabi, a luxury hotel and resort. It’s an Indian restaurant that takes ‘traditional Indian flavours and spices and giving them a deliciously modern twist’. It is rated as the #1 restaurant in Abu Dhabi on Tripadvisor, and the menu is available online to whet your appetite.